TAIPEI (Taiwan News) - With more than 500 million users around the world, a Chinese-made app for sharing short videos could be a "Huawei-sized problem" that poses a national security threat to the West, according to a recent U.S. think tank report. 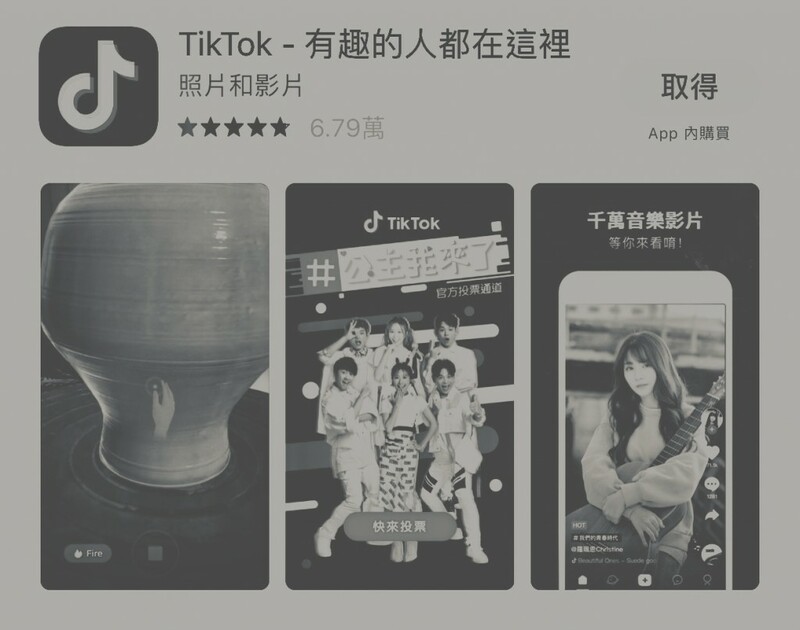 The China-based video-sharing mobile app TikTok is fast becoming the most downloaded app in the world, which, outside China, sees 80 million users in the U.S. and 120 million users in the rest of the world. A report by the Peterson Institute for International Economics stated that the app today has become alarmingly popular among the U.S. armed forces. "TikTok, like the vast majority of social apps, collects location data," the report says. The filming could also leak confidential national security information if it's taken inside military facilities, and disclose their identities. The scholar's woe didn't come out of nowhere, as the social app is believed to be able to gather a lot of data on users, and be easily accessed and leveraged by Beijing. The information could feed the authoritarian regime's existing gargantuan image database, allowing its national surveillance software to recognize Western faces more accurately, as well as to serve as "espionage and manipulation of public opinion." Unlike Western countries which value app user's security and privacy, companies in China can't say no to the information request from its government agencies in the name of public safety and national security. The practice rattles nerves of people in the West, as it is believed to have become a method to suppress dissidents, and, to gather intelligence. Named as "the world's most valuable unicorn" by Nikkei Asian Review, Byte Dance, maker of TikTok, the company can reach more than 500 million people worldwide through the app. The report describes the company "could become a Huawei-sized problem in terms of the access to the West potentially afforded to Chinese security services." TikTok has been banned by the Malaysian Armed Forces (MAF) since the middle of 2018, as its top officials think the abuse of the video app was affecting the image of the force. Also in 2018, Indonesia began to ban the Chinese video app for inappropriate content which is considered to leave a bad influence on the youth. Byte Dance's Taiwan Office said last month that the video-sharing app has more than 3 million active users in Taiwan, with more campaigns set to roll out from 2019 to expand its presence in the market.